I love Christmas. It’s a time of year that even has its own special musical accompaniment! Since my children were very small, my family has had an advent calendar to count down the days until Christmas. 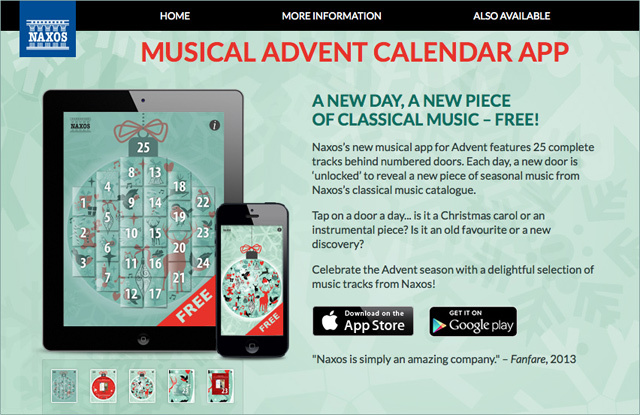 This year Naxos has released a fun app for your own countdown on your iPad or iPhone. Print article This entry was posted by Kathleen on November 29, 2013 at 12:35 pm, and is filed under Music Related. Follow any responses to this post through RSS 2.0. You can leave a response or trackback from your own site.